There are dozens of new phrase and exact match keywords that need to be added to better attack these queries. 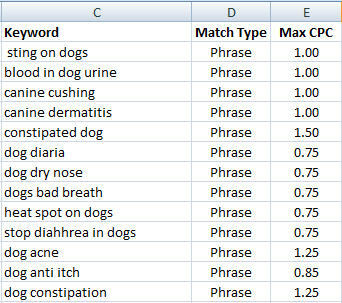 If we do get increased Quality Score on specific Keywords, our CPC could/should be lower on those queries. In summary, there are lots of advantages to a more detailed keyword build-out when it’s driven by actual queries not random speculation. 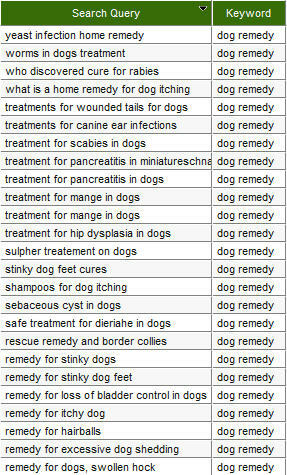 Finding Keyword Expansion Ideas To find out which keywords we need to add to both our keyword and negative lists, we can jump back into the ClickEquations application and find all the queries that Google matched to ‘dog remedy’. Likely negatives would be words for illnesses that we don’t sell product for – dysplasia, pancreatitis, rabies, etc. Areas for expansion are those which come up a lot – mange, itching, and vomiting seam like winners in this area – to name a few. Highly specific words clarify intent – which gets a lot of press in the ‘long tail’ discussion of keyword expansion. 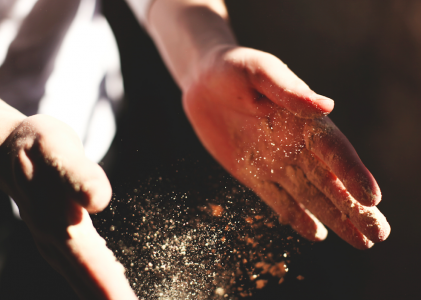 The same is true on the negative side: highly specific words can verify incompatible intent. Bulk Importing Keywords and Negatives Since it looks like we may want to add a lot of new keywords and negatives, we can jump back into ClickEquations Analyst and pull the full query list into Excel, make a few edits, and then bulk import that edited list back into ClickEquations. 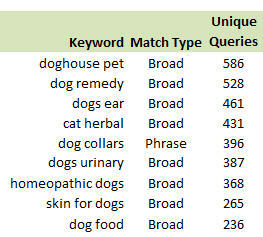 Squash The Broad Match Our Match Type Keyword Trap white paper discusses how you should use match types to take control of your search queries back from the search engines. 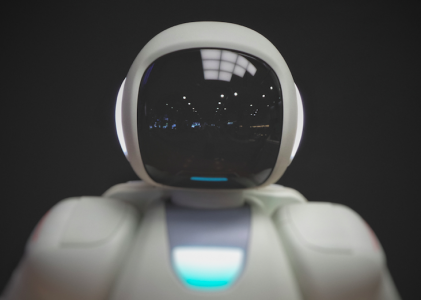 Using the capabilities described above to quickly find the keywords where broad match (and to a lessor degree phrase match) is running out-of-control is a great first step towards taking back control, saving yourself some money, and expanding the reach of your account. Like This Post? You can be a ClickEquations Facebook Fan! Just click in the widget in the far right column.